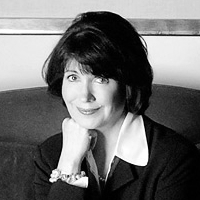 Helen has spent her career in publishing and specializes in thrillers and major front-list fiction. She likes a big story well told and handles a number of internationally bestselling and multiple-award-winning authors. Helen is a member of the Association of Authors’ Representatives. Kimberley Cameron loves finding new voices. She was the co-founder of Knightsbridge Publishing Company with offices in New York and Los Angeles. In 1993 she became partners with Dorris Halsey of The Reece Halsey Agency, founded in 1957. She opened Reece Halsey North in 1995 and in 2009 the agency became Kimberley Cameron & Associates. She resides and works from Tiburon, California and France. Jennifer Weltz, Jean V. Naggar Literary Agency, Inc.
As President of JVNLA, Jennifer Weltz has sold books domestically, internationally, and for film for nearly two decades. Coming from a mediation background, Jennifer sees herself as a liaison between her author and the editor and publishing house that acquire her author’s work. This role takes on a myriad of forms — business manager, confidant, task master, preliminary editor, and matchmaker — to name a few. Since Jennifer takes up an author’s career and not just a project, she is very careful and selective about signing on new authors. Bio: Born and raised in Ohio, I relocated to Los Angeles, California in 2007. It was that same year my wife, Shannon, and I created Suspense Magazine, which spawned Suspense Publishing onto the literary scene. 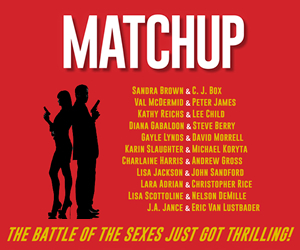 Currently publishing #1 New York Times Bestselling author, Paul Kemprecos, along with publishing award winning authors Joseph Badal, the writing team of Gary Williams and Vicki Knerly, and Tom B. Sawyer, who was the executive producer of “Murder, She Wrote”. 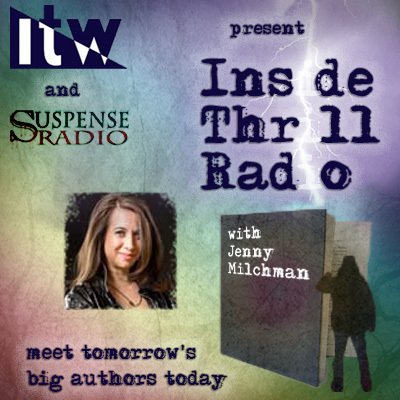 Suspense Publishing is also a partner of the ITW, CWA, HWA and IACW organizations. 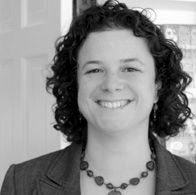 Bio: Beth Phelan is originally from Fall River, Massachusetts but now lives in Brooklyn. She is a graduate of New York University, lifelong reader and dog person. 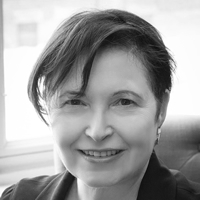 After holding positions at Waxman Leavell Literary (then called the Scott Waxman Literary Agency) and Howard Morhaim Literary, Beth joined the Bent Agency in 2013 where she is continuing to build her list. She can be found at bethphelan.com, thebentagency.com, and on Twitter at @beth_phelan. Bio: Alec majored in English at Brown University, a degree he put to immediate use by moving to Los Angeles after graduation to become a professional stunt man. Realizing that he prefers books to breakaway glass, he moved to New York City in 2008 to pursue a career in publishing. Alec quickly found a home at Writers House Literary Agency, where he has worked directly under agents Jodi Reamer and Amy Berkower since 2009. In that time, he has worked on and provided strong editorial feedback for a large number of Adult and Young Adult titles of all ranges and genres. Alec is now actively seeking out clients for his own list. Bio: I look for the cream within this milk-jug of an industry. With a limited amount of time, I want writers that are preferably experienced and are willing to listen to productive critiques of their work. I love old fashioned story telling in the mode of an Earl Biggers, Conan Doyle, Sax Rohmer, Rider Haggard, Kipling, Poe and Bourroughs. More recently, E. Peters, Anne Rice, Laurie King and Preston & Childs are my favorites. Look to these authors with a creative current-thinking attitude and you’ll have something. 35+ years within the publishing industry in all areas: editorial, product development, sales, foreign rights, administration, fulfillment and distribution. I’ve been a CFO, COO, VP and Publisher at major and minor houses and imprints. A writer and entrepreneur, I look for commercial projects with a strong literary attitude. If you’re looking for an Editor, this is, currently, the wrong agency for you. When approaching an agent in the wild remember they’re just like any wild animal: more afraid of you than you are of them, but will bite (or claw or kick or spit!) when cornered. Approach quietly and do not assume any aggressive posture. 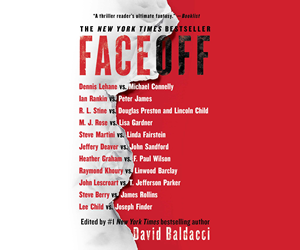 Less metaphorically: at ThrillerFest if you meet an agent in an informal situation, it will help start a productive conversation if you lead with something other than the topic of your book. Ask the agent if s/he has any particular favorite books this season (I have several and I’m always glad to talk about them); ask if the agent is having a good conference; ask if you can buy him or her a drink. The trick is to be patient and let our conversation unfold naturally. It’s the shark, compelled by biology, to Wish for a Fish. You are blameless, and funny as usual. thanks! I realized my error only after I came back an hour after posting. My screech of anguish probably echoed through the seven seas! It’s good to come prepared but I think that over-preparation can backfire sometimes. I go to conferences expecting to talk a lot of shop and hear about a lot of different projects. It’s really exciting and I’m always eager to meet with people who love what they do. When I sit down for a pitch session, or I’m chatting with authors over lunch or during breaks, I’m looking to have a conversation. That’s the beauty of pitching in person – the opportunity to meet face-to-face, to be casual, to show how passionate you are about what you’re writing. But our time is always limited, and I end up meeting with quite a few authors who wrote their pitch beforehand, and want to read it aloud to me. This is totally fine, especially when you’re nervous you might forget something when put on the spot. But it doesn’t beat two people speaking from their hearts and really connecting. The thing is, you can send that same paragraph to me in an emailed query. But there’s so much more you can get out of that face-to-face time. Know your story, practice talking about it, and you’ll be fine! I agree with Janet and Beth. Keep any approach low-key. A lot of authors come on too strong and then don’t understand why the agent they’ve approached is backing away quickly and running out the door. I’ve been followed into the washroom by an over-eager writer who wanted to get my attention! Please don’t tell us you’re going to make us lots of money with your huge bestseller. But please do tell us about yourself. How you came up with the idea. What your background is. I know perceived wisdom is that agents are only focussed on the money but we aren’t really. When we meet you, we want to meet you without a large glittering dollar sign shining in the space between us! I agree with what’s been said, and want to add something that may sound a little counterintuitive, but I think one of the biggest mistakes writers make is worrying they’re going to make some huge mistake. There are very few true deal-breakers, and those are only really lack of common courtesy or lack of respect in our dealings together. On a possibly more helpful note, I think that a real “mistake” writers often make when approaching agents is not treating it as a two way interview. I know that when you’re looking for an agent it might feel like Please! Anyone, sign me! But it’s important to find a good fit on both sides. The wrong agent is worse than no agent. And by the time you realize you have the wrong agent, you may have ruined your chances with that manuscript (which is why you should begin writing your next manuscript when you begin querying this one, but that’s different advice for a different day). Trust your gut and don’t be afraid to turn down an agent if the fit feels wrong. Where there’s one offer there will likely be others. I’m always surprised by how many mistakes authors make that could have been easily prevented by a simple Google search. Virtually every agent has an online presence, including what s/he is looking for – and more importantly, NOT looking for – along with very clearly delineated submission guidelines. Doing some homework before submitting to make sure that a) the agent you want to submit to does in fact represent your genre, b) you are following all the directions when submitting your query, and c) that the agents you are submitting to seem like the kind of people you’d enjoy working with long-term, will all go an extremely long way towards your acquiring representation. It’s also important to keep in mind that we really, really want to like your stuff. The nature of this business forces us to be extremely selective, but hands down my favorite part of my job is finding a manuscript that blows me away, and the more opportunities I have to make that happen, the better. So don’t ever feel like you’re putting an agent out by approaching him/her to talk about your book; that’s why we go to conferences and that’s why we have our submission guidelines up for all to see. Just make sure you go about it the right way, and all will be right with the world. Great comments above. I think the major points above revolve around something that all agents can agree on. We want to fall in love with a wonderful book. If not, we would not be in this business. There is nothing more wonderful that reading a book and getting a chill because THIS IS THE ONE!!!! But, just like dating, my amazing read might not be someone else’s. The important thing is to find an agent who feels the passion necessary to sell your book. As for approaching an agent at a conference, common courtesy goes a long way. Recognize boundaries (don’t follow them into bathrooms, their hotel rooms, the pool (this happened to me!) or other places where the agent might be looking for some alone time. When you do initiate a conversation in a get together of some sort, treat it like a cocktail party where the first effort should be in getting to know the person. There is no doubt that, if I have had an interesting conversation with someone, I am more likely to pay attention to their pitch. If you are at a query pitch session, don’t forget to convey to the agent what makes you excited and passionate about what you wrote. It can be contagious! Yes – all great comments thus far. As I try to remind the authors I meet at conferences, WE NEED YOUR WORK! We are always hoping that the next query we see, or the author we meet will be a good fit. As for common mistakes – I know some writers feel a bit nervous when meeting with an agent in person, but as said above, it should be a two way conversation. We are as interested in you and your writing as you are in us, and when writers ask me if they can “read their pitch” i usually say “please don’t!” “Talk to me, and tell me about your story.” I’ve had writers unable to express what they are writing about, and communication is essential in the author/agent relationship. Politeness is everything. I spend my days working seriously for the writers I represent and the ones I’m looking to represent, and I don’t think many authors know how many letters we receive that are not appropriate. The query letter is the start of a relationship. Make it succinct, to the point, and friendly. That always captures my attention! My god, I have been usurped by my colleagues!! To say I concur is a bit of a copout but alas I concur. I would ad, please don’t pitch the “great movie” aspect of your story. Past successes are always helpful when explaining your cred’s and please, please let us know if you’ve self published the title you’re pitching. Self-published works are pitched differently and not always accepted by publishers unless there is evidence that the work is on the verge of taking off with the help of greater distribution avenues and publisher may be able to provide. Good luck o all and give us some questions. Would you give us your thoguhts in the case of a writer submitting a NEW novel but having PREVIOUS works self-published? I never tell lies, I only write them. Submitting new work is not the problem. Indeed if you have proof of sales through your own efforts as a self publisher, that’s great and can be extremely helpful in establishing the fact that you have followers. Then based on that info (assuming it’s reasonably good) we would then proceed with conversations and submissions to our regular publishers and others. I hope that helps…Short answer, it should not effect a new, un-submitted, work and could help it. As I’ll be on a plane tomorrow headed for NYC, I’ll answer this one now. I feel it’s common today to find writers that have gone the route of self-publishing. It’s always the book and the words in front of me that are the most important – I’m not that concerned with their self-publishing record. The new book has to be polished and ready for the market – and not part of a previous, self-published series. If it’s great and a good fit, I’ll fight to get it published. I often received submissions of books that have ALREADY been self-published, and I can’t help, unless they have sold thousands, and even then it’s difficult. My advice – try to go the traditional publishing way with an agent before you decide to self-publish. Then, on to the next one! I think Kimberley summed this up perfectly and don’t have much to add. Other questions…?